As of December 20, 2011, we successfully delivered the education material donated by Janine Bryant’s 1st grade Montessori class to Sereh Olatoye, Director of the Medina Sancha Lower Basic School of Banjul, The Gambia. The aid material will be hand-delivered to the 152 children of Medina Sancha and will be immediately put to use. 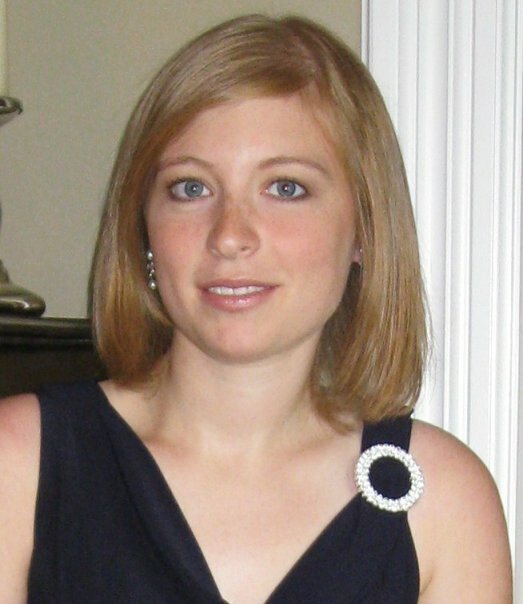 Once again, we wish to thank Janine Bryant and her students for their generosity! Thank You, Janine Bryant and the Students of the Countryside Montessori School of Charlotte, NC! 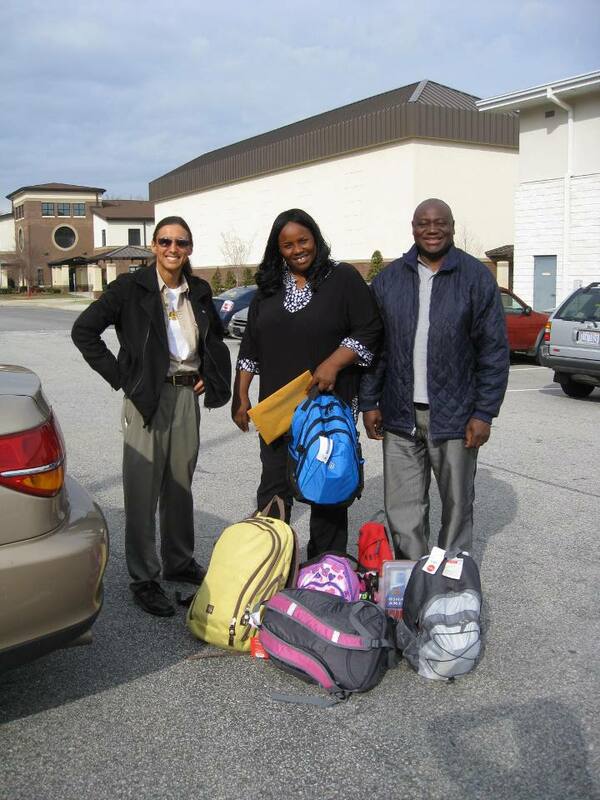 We wish to thank Janine Bryant, her assistant Megan Belton, and all of Mrs. Bryant’s 1st grade class at the Countryside Montessori school for their generosity in collecting a massive amount of education supplies to be donated to the Medina Sancha Lower Basic School in Banjul, The Gambia. This donation, which includes letters from all of Janine’s students to the children of the Medina school, will greatly improve studying conditions and is a significant step towards a brighter future. It is important to note that all Montessori schools embrace the same basic philosophy to which The Fishermen also adheres – that we are all part of a global community and that we are to reach out, learn about, and give to others. We applaud their method of teaching as well as their willingness to engage in charitable endeavors! We encourage any educator seeking a charitable function for his/her classroom to consider supporting the Medina Sancha school. The teachers and students would greatly appreciate your assistance. You will be contributing towards a brighter future for the people of The Gambia by helping Medina Sancha’s very promising students! 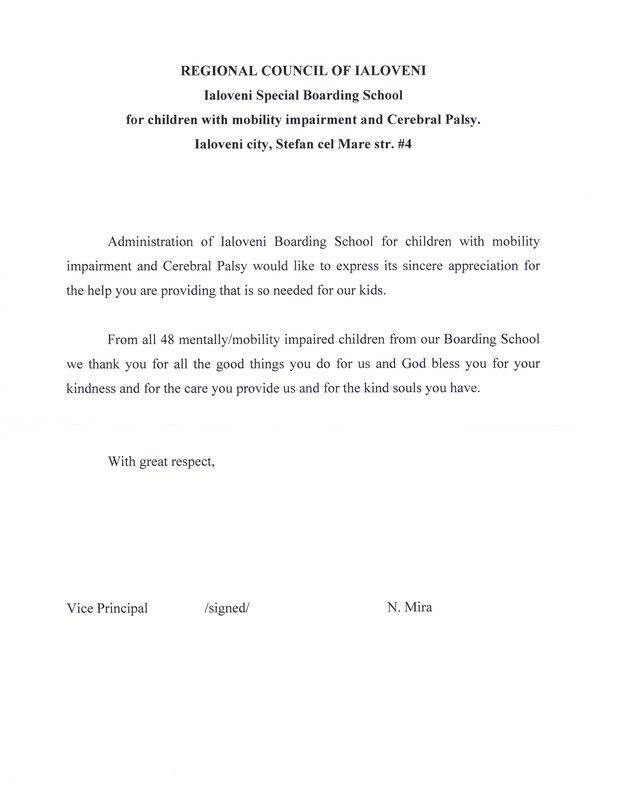 A Welcome “Thank You” Letter from the Ialoveni Special Boarding School of Romania! 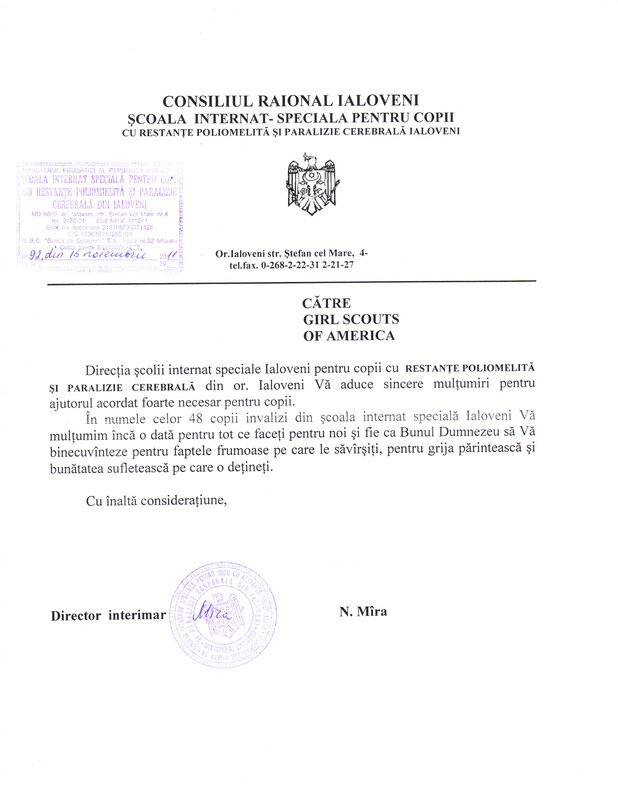 We recently received the above thank you letter from the administration of the Ialoveni Special Boarding School in Ialoveni City, Romania. With the assistance of the Girl Scouts of America and Captain Alfonz Markovics of the North Carolina National Guard, we were able to dispatch 4 shipments of medical supplies to this wonderful orphanage caring for children suffering from Cerebral Palsy and other health issues. We deeply encourage you to engage in local donation drives to collect basic supplies for the children of the Ialoveni Boarding School. As we did with the Rosenblum family whom generously donated medical supplies collected from friends and neighbors this summer, we will gladly ship any aid material you wish to donate. 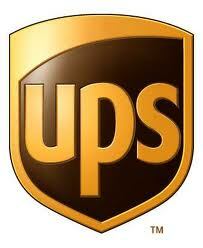 Otherwise, please feel free to contact us for delivery information. As always, we wish to thank you all for your continued support in our effort to help the orphaned children of the world. As the above letter indicates, your generosity is making a difference! Please Support Your Local Homeless Shelters! 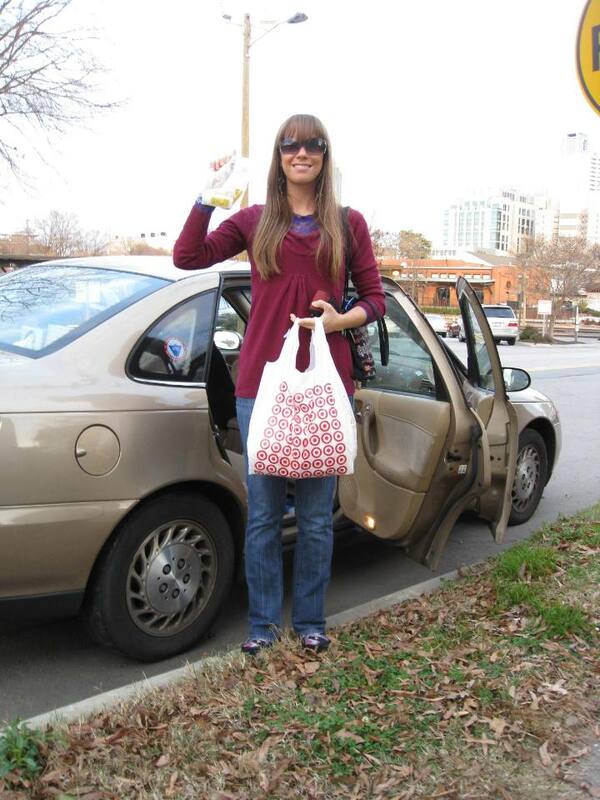 Every Christmas, Sarah and I drop off hygiene kits at local homeless shelters to assist the less fortunate. This year we managed to supply a women’s shelter with 36 such kits, each of which consisted of shampoo, conditioner, and a bar of soap – all collected from hotels during our travels. We encourage you to do the same while on vacation or away on business trips. By setting aside the bathroom products provided by the hotel and donating them to a homeless shelter once a year you will be helping those in need while costing you nothing. Below is a list of local shelters to which we have donated food and supplies and can verify that they are legitimate. Please feel free to contact us if you have any questions. Aid Shipment On Its Way to Gilgit-Baltistan! We are happy to announce that as of Monday, December 12, The Fishermen successfully dispatched a shipment of desperately needed dental hygiene supplies to the CEENA orphanage in the autonomous region of Gilgit-Baltistan in northern Pakistan. We wish to thank Joanna LiVecchi for her generous donation of aid material, Farhana Yasmin for coordinating the operation, Ty Prettyman of Aidmatrix for assisting in connecting us with UPS, and UPS for donating the cargo space for our shipment. The supplies should arrive on Monday, December 19, 2011, and will help promote dental hygiene to the 100 orphaned children of CEENA Health and Welfare.